Home Environment The Debate is on: Climate Change, Unity, and Edible Insects? The debate is on. 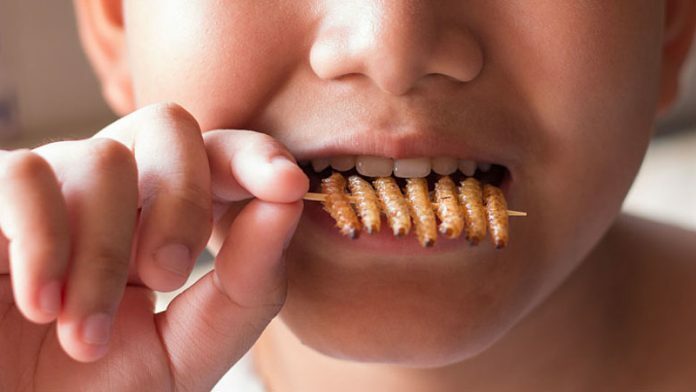 Social scientists, environmentalists, professors, and even the United Nations are promoting and attempting to popularize eating insects as a sustainable treat, but the majority of those in the western world are completely disgusted at the idea. This article will examine what was commonly eaten in the past, the types of bugs consumed today and where the United Nations would like to lead us in the future. When it comes to eating insects, what stance will you take? These are the insects you may eat: all kinds of locusts, winged locusts, crickets, and grasshoppers. 23 But all other insects that have wings and walk on four feet you are to hate. 24 Those insects will make you unclean, and anyone who touches the dead body of one of these insects will become unclean until evening. 25 Anyone who picks up one of these dead insects must wash his clothes and be unclean until evening. And we know that John the Baptist enjoyed his locusts and honey (Matthew 3:4). Therefore, we acknowledge that in the past that there was nothing morally wrong with eating certain types of insects, but the majority were completely banned. The Western world adopted the belief that eating any form of insect is unclean, and most of us can’t help but cringe at the thought of eating insects because it just isn’t normal or culturally acceptable. Note that most of the bugs listed above are not on the kosher list and are considered unclean by Jewish law. Using false climate data and population projections, the report proposes that insect consumption is a good idea for sustainability. It has been proven that the information obtained in climate data is false through leaks like Climate Gate. And climate extremist leaders like Prince Charles continually make false claims to rile up the populace and shock them into submission to their agenda. On top of that, top representatives within the United Nations like Christina Figueres have spilled the beans that the movement for sustainable development is nothing but a way for them to redistribute the world’s wealth, with the end goal being of course equality. This equality that they desire aims at destroying all the levels of society except the upper and lower classes. And while the upper class eats expensive organic steak, the lower class would be force-fed GMO loaded insects, much like the poorer countries today already consume insects. One of their main reasons is that insect farming requires dramatically less food than raising beef. For example, insects consume just 2 pounds of feed to produce 1 pound of meat, while cattle require 8 pounds of feed to generate 1 pound of beef. When it comes to quality of food, it seems that the easier the food is to prepare, grow, or farm, the worse it is for you. It’s interesting that the countries that eat the most bugs tend to have either a socialist or communist government. The UN General Secretary, António Guterres is the former Portuguese prime minister and is a socialist whose aim is to create a “peaceful” global system. He openly opposes Trump and actually even issued a dire red alert catastrophizing the rise of nationalism, and advocating for “unity” in 2018. Unfortunately, this form of unity is devoid of freedom and exists in a heavily technologically surveilled society where humans are all paid equally through a universal basic income, where bug eating is the new norm. With the sustainable movement, new establishments who promote the insect-eating agenda are on the rise. Take for example EAT GRUB which describes themselves as “a boundary-breaking new sustainable food brand that aims to revolutionize Western food culture by introducing insects as a staple part of it.” With ready to cook insects on hand, Eat Grub ships locally and globally. If the United Nations plans with Agenda 2030 and sustainable development prove to be successful, insect-eating will be the new cultural norm. Would you join in if this were the new trend? Would you eat any insect, for instance, the most popular being beetles? Or would you limit the types you ate and eat only those condoned by Jewish law? Or would you avoid eating them all together? Let me know in the comments! Not everybody will be eating these ,certainly not the Elite. Thy will be left to those who are they enslave.